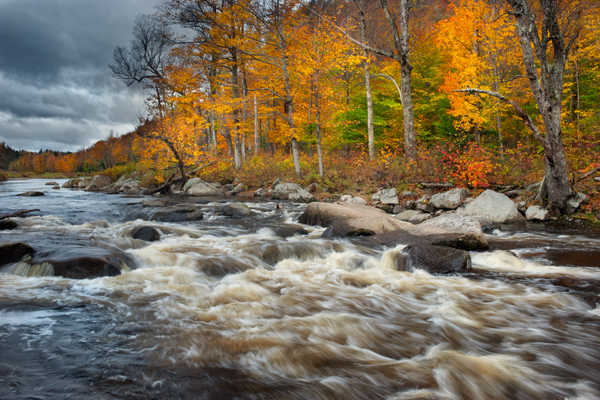 Fall color stretched along the banks of this stream outside Lake Placid as autumn rapidly advances across the Eastern United States. A pair of hip waders are a great addition to the photographer’s tool kit and can provide access to get the shot you want. This entry was posted in Landscape, Photography and tagged Clouds, fall foliage, Landscape, Photography, stream, Water. Bookmark the permalink. Wonderful, as always. Did you use some type of filter for this shot Donald? Just a polarizer. also two exposures,one foreground,one sky.